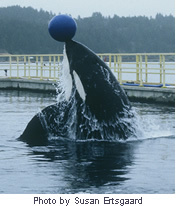 In January 1996, a killer whale was transported to a facility built exclusively for him at the Oregon Coast Aquarium. Called Keiko, the wild-caught killer whale star of the hit movie Free Willy was in failing health after living for eighteen years in a small, hot pool at an amusement park in Mexico City. 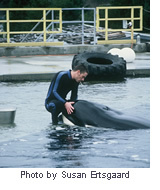 From the minute Keiko arrived to the moment he left two years later, the international press reported almost daily on some achievement, antic, or controversy coming out of the project to rehabilitate and then release him back to the wild. He was a media sensation. Even now, most adults in the US recognize his name and story. As the killer whale’s full-time press secretary I witnessed his amazing recovery at the hands of a small group of men and women who spent hours each day swimming with him in a pool so cold that hypothermia was always a danger. Day in and day out, in all kinds of weather—most of it bad—these dedicated people kept him company for up to eighteen hours a day, inventing regimens, games and toys to challenge his mind and body. By the time he left Oregon for Iceland, Keiko was a masterpiece of buff muscle and horny vitality. He departed as he had arrived, in a cloud of controversy over the morality of keeping whales and dolphins in captivity. 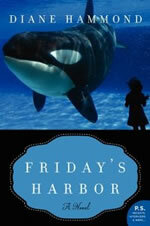 As with Hannah’s Dream, it is my hope that while Friday's Harbor poses difficult questions about holding animals in captivity, readers will recognize that the book is, at its core, a love story. Friday's Harbor: Almost, and at Last! • Julio Iglesias, a fractious Chihuahua who has been waging passive-aggressive warfare with Ivy for nine years. As Friday's Harbor opens, it’s been three years since Asian elephant Hannah’s departure from the Max L. Biedelman Zoo, and the years have not been kind. Saddled with declining attendance, rising costs, and an empty porpoise pool, the zoo’s board has fired director Harriet Saul and recruited her replacement—none other than Truman Levy, the zoo’s former business manager and newly minted lawyer. Truman’s aunt, eccentric heiress Ivy Levy, has traveled to Bogotá, Colombia, to assess a captive killer whale named Viernes (Friday). Appalled by his failing health and squalid living conditions, Ivy prevails upon Truman to bring Friday to the zoo for rehabilitation under the direction of marine mammal expert Gabriel Jump. As Truman and Gabriel ready the zoo, the killer whale contacts Libertine Adagio, a gentle animal psychic and foe of killer whale captivity. At Friday's behest, she is present when the killer whale arrives at the zoo, and in the subsequent days becomes a fixture just outside the fenced pool’s perimeter. A proponent of holding one’s enemies close, Truman stuns Gabriel by offering the psychic a volunteer position with the whale rehabber and his staff. Ivy and Libertine soon develop a close if unlikely friendship. They are joined at the whale pool by Hannah’s former keepers Sam and Neva, and many of the other characters introduced in Hannah’s Dream, to help Friday regain his health—at times, against seemingly overwhelming odds. Oh, and by the way, I offer these words of encouragement to the feint-of-heart: do not shy away from this book out of fear that you will be depressed about the animals in its pages. You won’t, I promise. $1.99 Hannah's Dream E-Book Ends Soon! There’s just one week left to buy Hannah’s Dream e-book for—wait for it—$1.99 on Amazon, Barnes & Noble, and all other e-book outlets. On October 8, the book returns to its list price of $13.95. The deal’s a great way to meet Hannah, the Asian elephant, her zookeeper Samson Brown, and all the people at the little Max L. Biedelman Zoo in Bladenham, Washington. Friday’s Harbor stands alone, so you can read Hannah’s Dream after you’ve finished Friday, you won’t be at a disadvantage. "Killer whales are hardly cuddly, but Hammond’s sublime sensitivity and infectious empathy make these remarkable giants of the sea lovable." 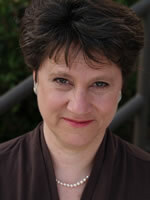 All in all, this is a great story, and I'll be reminding my friends to look for it when it comes out this fall." Received this as an Early Reviewer copy. I really enjoyed this book and did read it straight through. Wonderful characters, great story, I just loved this book!